I’ve found the county level US election maps fascinating. Here are some more goodies. 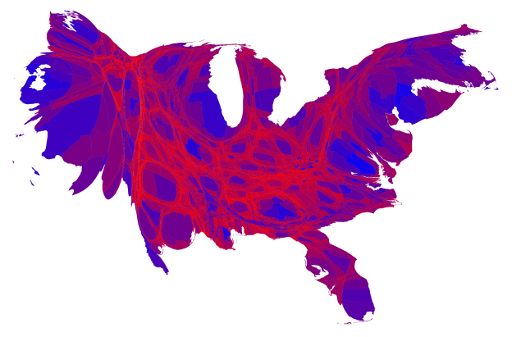 The purple linear cartogram of the election results looks like a phoenix decaying. Discuss.